After our uproariously successful first Short Short Story Slam at the Didsbury Arts Festival last year, we have bashed our heads together again and we’re putting on another one. Twelve brave competitors have stepped forward to take the challenge and this time we are offering a tasty cash prize to the victor. It’s all going down in the upstairs of Gullivers on Oldham Street, starting promptly at 7:30 on Thursday April 22. Just £1 in and you get to see the finest local talent duking it out with their lashes of lexicon, their whips of words, while you, the bloodthirsty audience, decides who lives and who dies. It is basically the Can’t Cook, Won’t Cook of literature slams. Does it get any better than that? 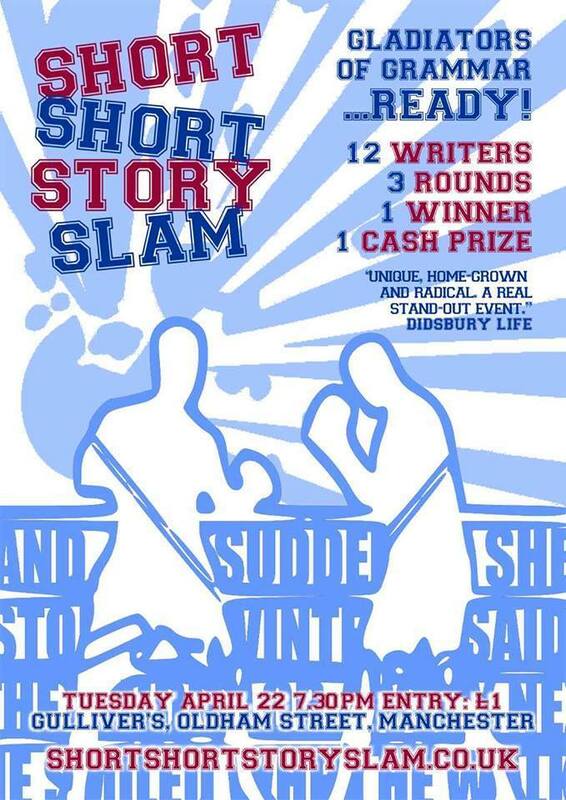 Check out the Short Short Story Slam website for more details. See you at the brawl.